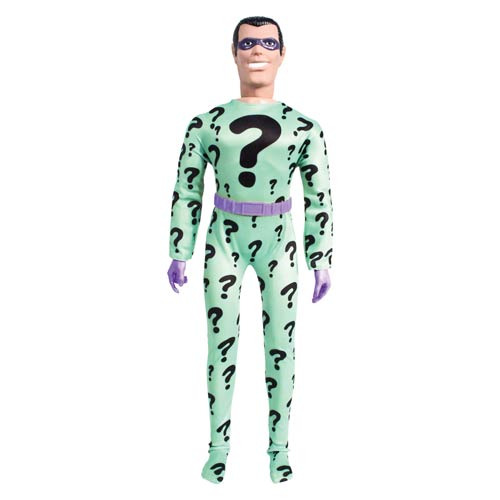 Giant retro action figure of the Riddler! Retro action figures are back in a big, big way. Sporting a cloth outfit, classic head, plastic utility belt, and the original 16 points of articulation you've come to know and love, this DC Comics Retro 18-Inch The Riddler Action Figure is a scaled-up exact reproduction of the original produced by Mego! Ages 8 and up.